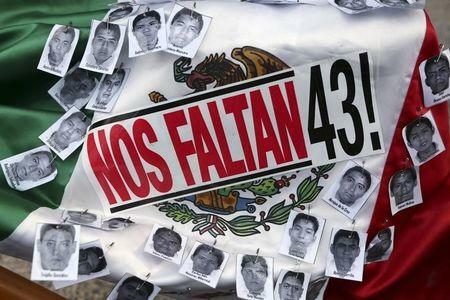 MEXICO CITY (Reuters) - An international panel of experts that picked apart the Mexican government's account of what happened to 43 students who disappeared in 2014 will cease work in the country by late April, a senior government official said on Tuesday. The 43 student teachers went missing from the southwestern Mexican city of Iguala in 2014, and their abduction caused an international uproar over human rights abuses in Mexico. The government originally said the students were detained by corrupt local police working for a drug gang. After they were handed over, the students were incinerated in a local dump, ground up and their remains tossed in a river, it said. However a September 2015 report, commissioned by the Inter-American Commission on Human Rights (IACHR) and conducted by respected investigators from Chile, Colombia, Guatemala and Spain, strenuously questioned the government's account, rejecting the central claim that the students were burned in the dump. The report was a humiliating blow to the government, which had claimed its account was the "historical truth." After it was published, the government asked the experts to stay on and help with the investigation. But in an interview on Tuesday, Deputy Interior Minister Roberto Campa said the experts' time in Mexico would come to a close by the end of April. "It should be Mexican institutions ... that conclude the investigation, the search, and we should be capable of advancing in the attention we pay to the victims," Campa said. Carlos Beristain, one of the experts, declined to comment on the government's decision but said the panel would eventually publish its findings from the last seven months. So far, the remains of only one of the missing students has been positively identified and the whereabouts of the rest remain a mystery.